It has come to our attention that TM has begun to offer a new wireless service under its UniFi arm. 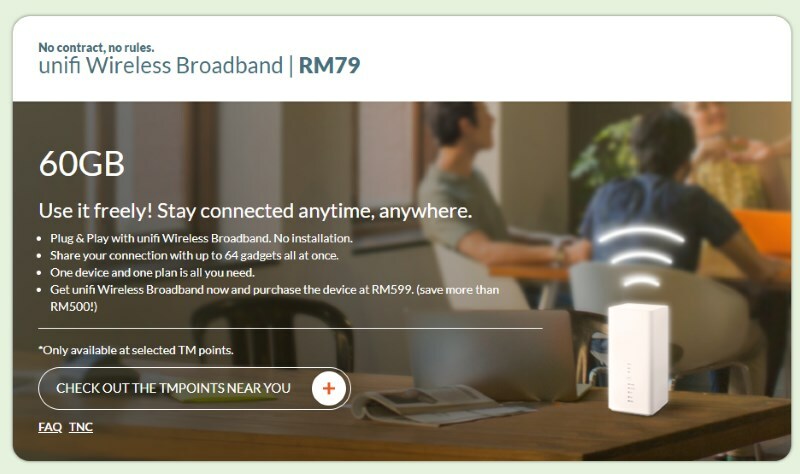 Branded as the UniFi Wireless Broadband, it is supposedly different from the mobile wireless broadband that was previously offered by either UniFi Mobile or its previous incarnation, Webe. For example, the UniFi Wireless Broadband offers 60GB of data for RM79 per month while the UniFi Mobile wireless broadband comes with 20GB of data for RM59 per month. 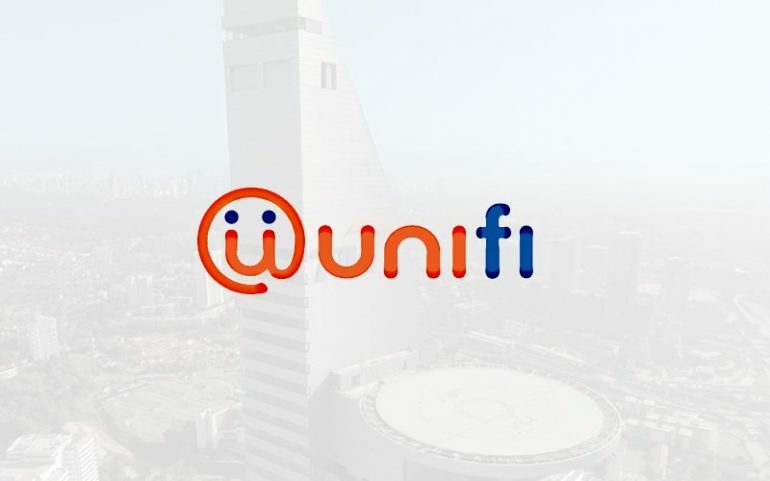 At the same time, the newly revealed UniFi Wireless Broadband service allows customers connection to be shared with up to 64 devices simultaneously, while the UniFi Mobile wireless broadband is limited to only up to 10 devices. However, there is indeed one major similarity between them. Just like its UniFi Mobile counterpart, the UniFi Wireless Broadband does not come with any contract. 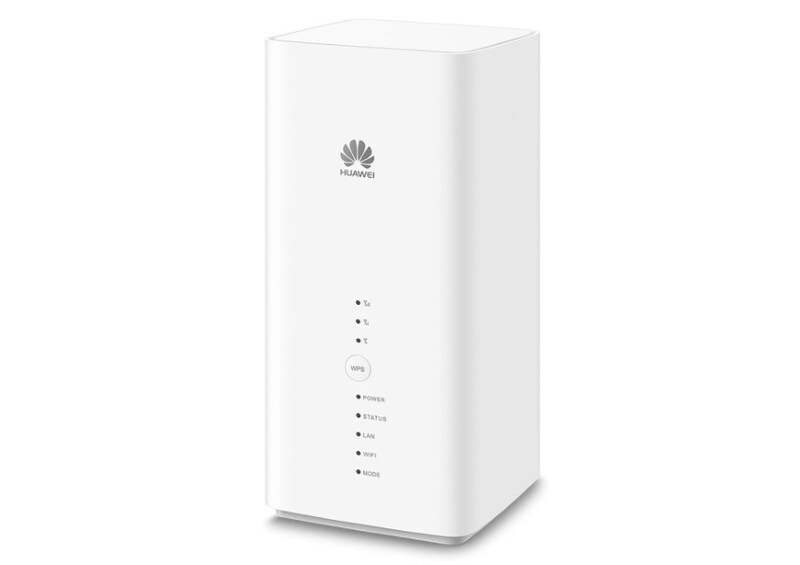 For those who are interested to sign up for the new UniFi Wireless Broadband service, you have to purchase the Huawei 4G B618 WiFi Router from TM as well. That being said, the company is offering it at RM599 which is much lower than the market price (a quick check shows the prices range from RM1300 to RM1500). Since the service is using UniFi Mobile’s LTE network, it is advisable to check the quality of the network coverage within your area before you sign for this service. For further information, head on to UniFi’s official website.